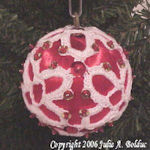 Beaded Popcorn Wreath Ornament -- $1.99 A Crochet pattern from Julie A Bolduc. 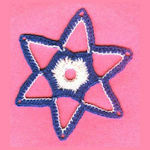 This wreath is very fast and easy to make. 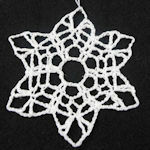 If you want a more formal look, change the beads to all one color and use either a solid white, red or green yarn for the crochet part of it.